I know it's been done a hundred times but I have not seen it in a few months so...wife dumps you off the boat on an island to ferment. A Falcon and a cob. 3 Star Blue, War Horse, Balkan Supreme and two well-trusted meerschaums. 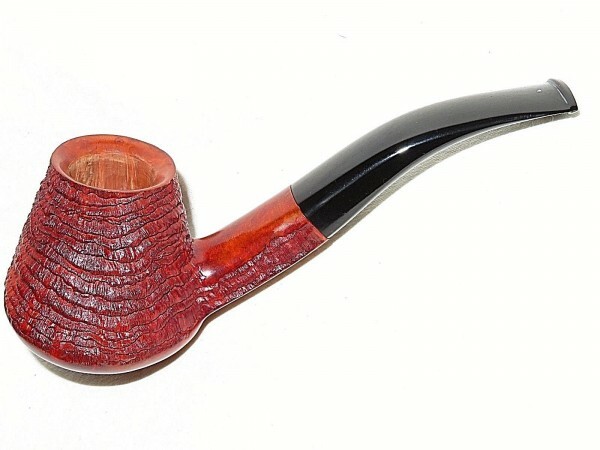 A Stanwell Billiard and a BriarWorks straight Dublin. Somehow, I think with the lack of food on on a desert island my sweet tooth would come to the fore. For pipes, any two of my Ingo Garbes. Probably a straight billiard and a 3/4 bend brandy, just for a change of pace. Can we have matches, too? Early Morning Pipe, Peretti’s 432, and Pirate Kake with my MM Carolina Gent and Randy Wiley Galleon 44 sitter. Sasieni Four Dot Cromer & Jesse Jones 1/8 bent Brandy. It would have to be two out of this bunch with Black Frigate, Yenidje Highlander, and McClelland 40th Anniversary. Not wrecking a cob on a desert island. Castello Collection 15 (with saddle stem). ^^^^ That there are troo trufe. Some days I'm in a Nording mood, or some Savinelli. Or Barling or BBB. Nearly always a swoopy old freehand from BITD, though! 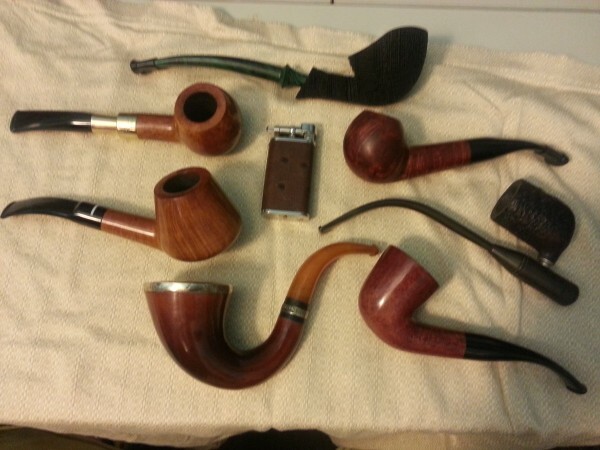 A good cob, and my trusty little well used and abused Medico VFQ bent bulldog for pipes. 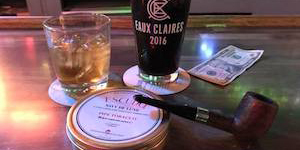 Squadron Leader, Irish flake, and something sweet, like Avenue TQ. See what I did there? 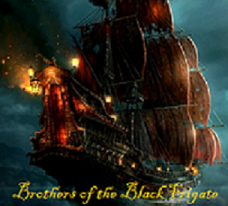 The Semois and LNF make a fourth blend, and also tune the Bayou Night as condiments. Variety, variety. Pipes:Perhaps, some older Estate pre-Cadocan era Gbd in Canadian/Lumberman shape, Castello?Again something in straight form. Pipes: Savory straight billiard that I rescued, the bit had been chewed by a beaver I believe, but it is a smoking champion now. 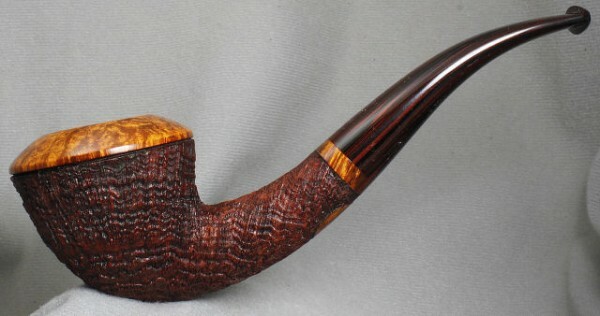 Clark Layton oversized bent billiard, love the huge bowl, again a smoking champion. Tobacco: Carter Hall, Peterson's University Flake, McClelland 40th Anniversary Flake. I find it interesting and informative that in this hypothetical scenario where you could have any pipe tobaccos you wish for, not one person has mentioned Penzance or Stonehaven! 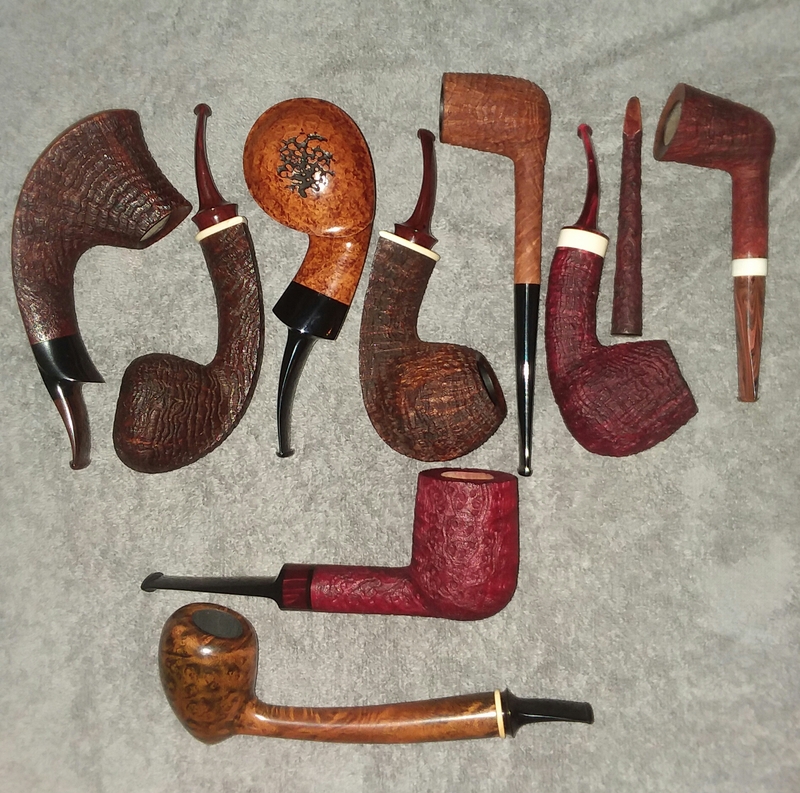 Re pipes, MM Cobbit Shire & Kaywoodie Handmade, Thorn series shaped like a 99b. Bill Feuerbach brought it to the Chicago pipe show in 2008. 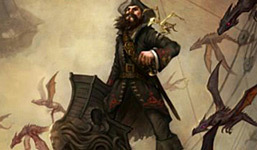 Just like there are millions of pipe smokers, no two people are the same. I am a little surprised. I didn't expect this. You guys aren't helping me slim down my cellar. Philo, I haven't had penzance or stonehaven enough to really fall in love with either. I just went with blends in my cellar that I love. Ain't gonna happen. 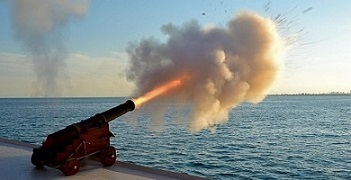 I'll take over the ship. Not mentioned, but would want: Brass Zippo, normal insert. Just don't forget the matches. That's where the fire making comes in.